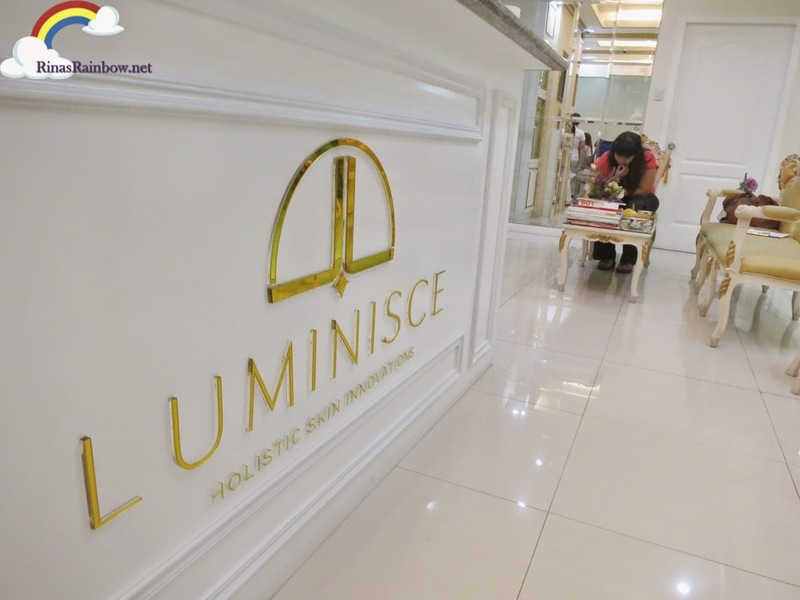 Rina's Rainbow: Excellent Skin Care at Luminisce! 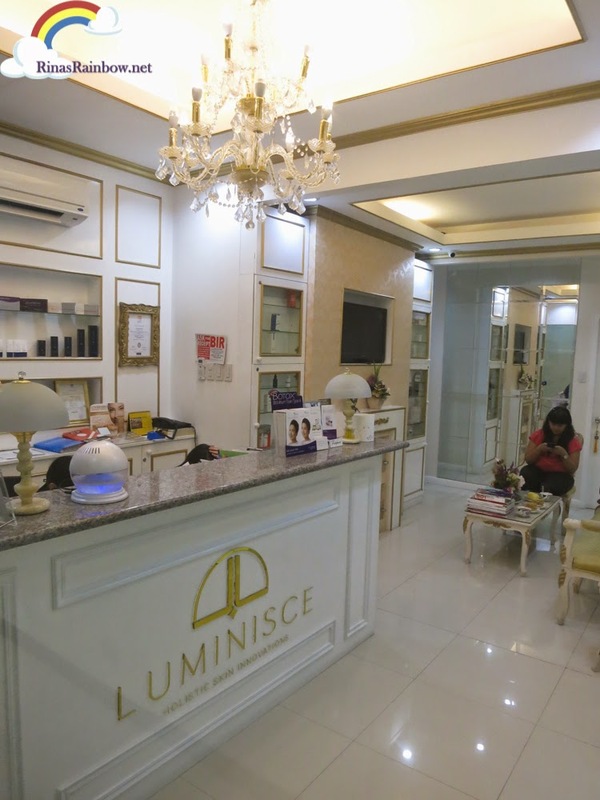 Luminisce is a pretty little clinic situated at the 2nd floor of the Mercury Drug building in The Fort, BGC. Just go to the side of Mercury Drug and you will see the entrance. I love how pretty the place looked. Very classy, clean, and bright. 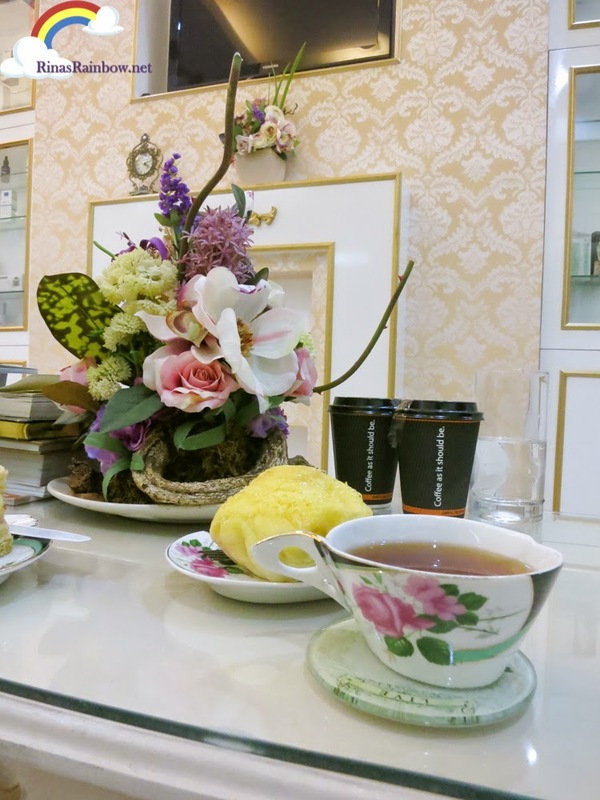 While waiting, I was offered some merienda, and they made me choose between tea or coffee. So I had a little snack while waiting for Doc Kaycee. Finally it was my turn. 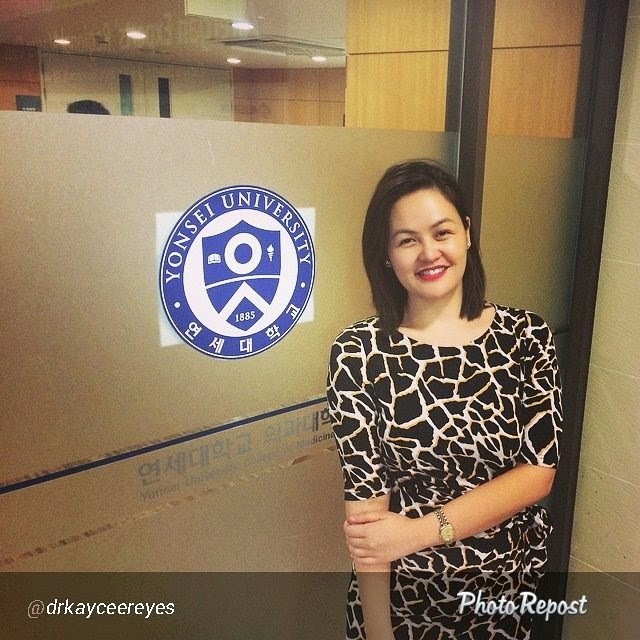 The thing that is apparent with Doc Kaycee is that she is very hands on with her clinic. She makes sure she handles all the consultation. This is why you might have to wait a moment for your next turn. She makes sure she really addresses your concerns well. She has been featured in a number of magazines and online articles for her amazing achievements! Popular celebrities go to her clinic as well! Check on their Facebook page to see who! I also have to admit that during my consultation, I couldn't help but stare at her face because her skin is just soooo beautiful! Not a blemish anywhere. She has that natural glow. No foundation, no creams. Just an all-natural glow that was hard not to stare at. 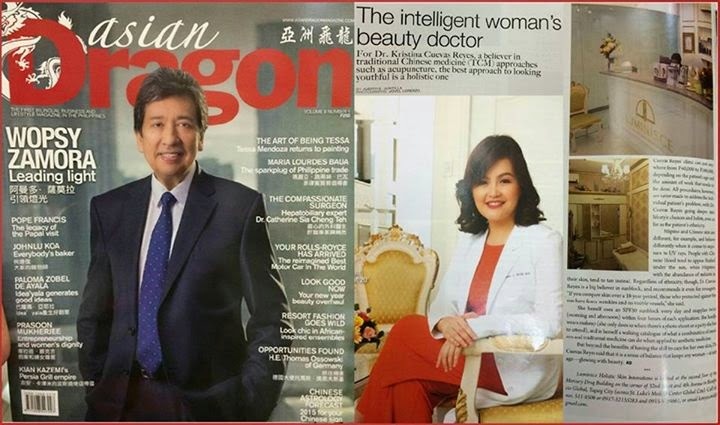 So knowing that this person owns the place and is the skin doctor per se, you just know you're in good hands. First order of business for Doc is skin check. 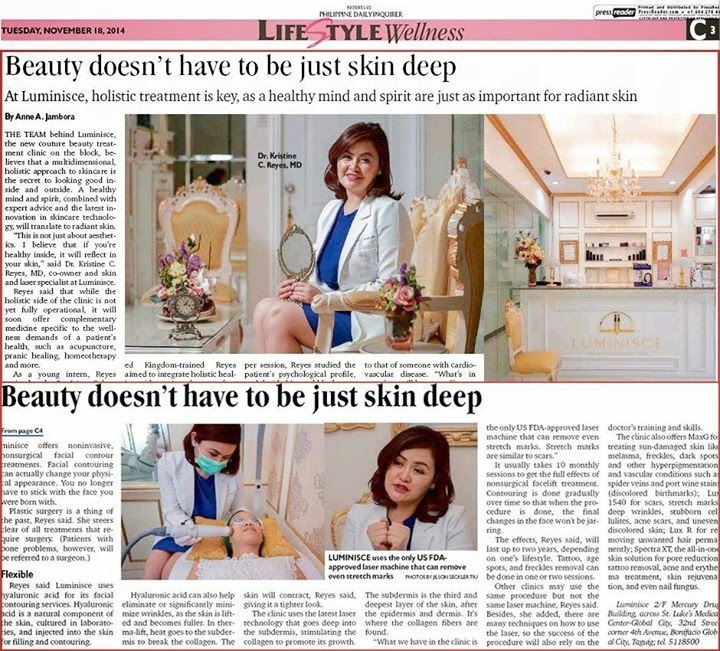 Since we all have different skin types, it's important for her to really analyze the skin of the client, and really hear their concerns with their skin. As I mentioned, pimples like me. Like a woman's monthly period, they appear from time to time. Not to mention I started having these freckle-looking spots just by my cheek bones. Me: eto miss oh (showing my brown spots to her) .. may brown spots... ano kaya yan? Sales lady: Ah signs of aging yan, ma'am. Oh, and then just very recently again, I noticed small specks of brown circles at the sides of my face. And yes, I've confirmed they're ... warts... uuugh!!!! What perfect timing to go to Luminisce! 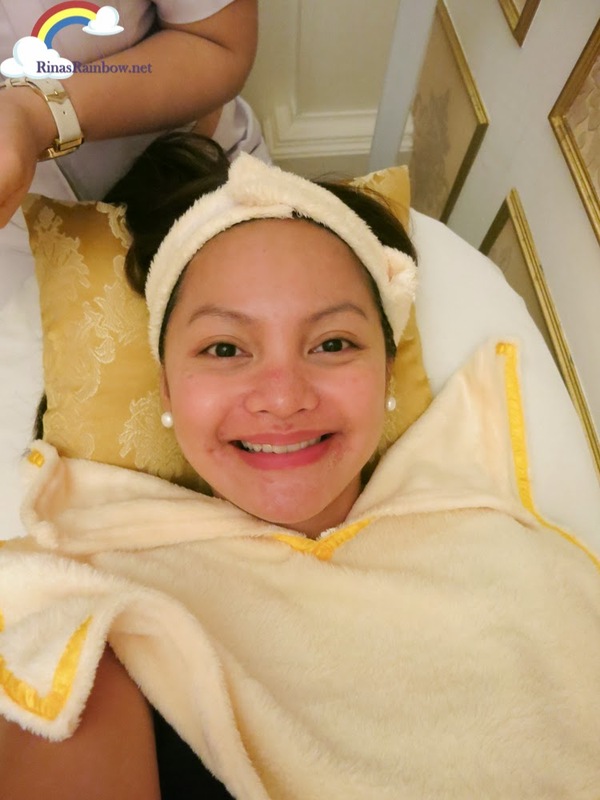 Aaaanyway, going back to the consultation, Doc Kaycee really carefully analyzed what treatments she feels is appropriate for my skin type. During the consultation, she had one of her staff there in the room with us who was going to do the treatments. This way, the nurse also knows what the doctor and the patient talks about, she hears the concerns of the client, and so Dra. Kaycee can directly instruct her what treatments to do. Next I was lead to my room. 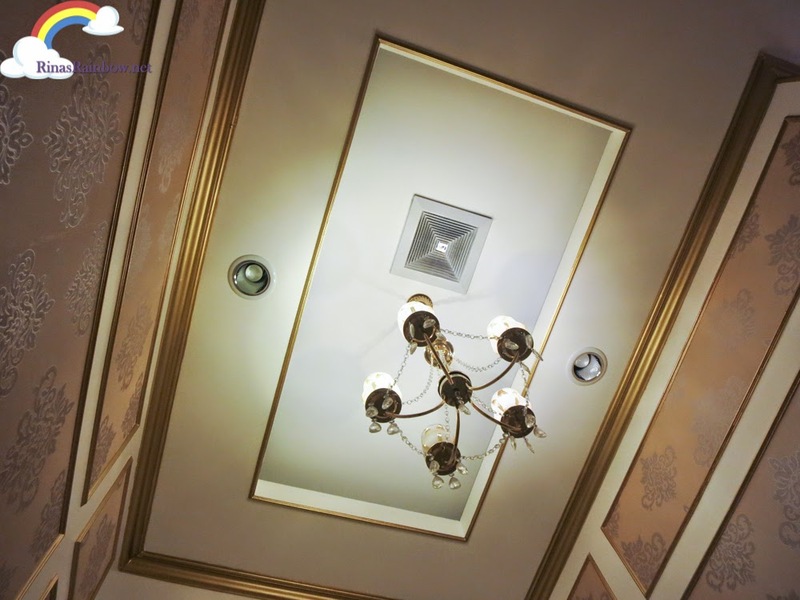 A small room with the same interior style as the reception area. It felt like I was in a nice bedroom. And aside from my phone, this was my view the whole time. My "before" shot. As you can see, I have pimple marks. And actual painful pimples on my nose and near my lips. But since I was wearing some CC cream that day, it helped hide it a little. But believe me it's there. This would also be the last time in a long time that I will be wearing a CC cream on my face as doc told me later on that I should stop using anything but sun block. 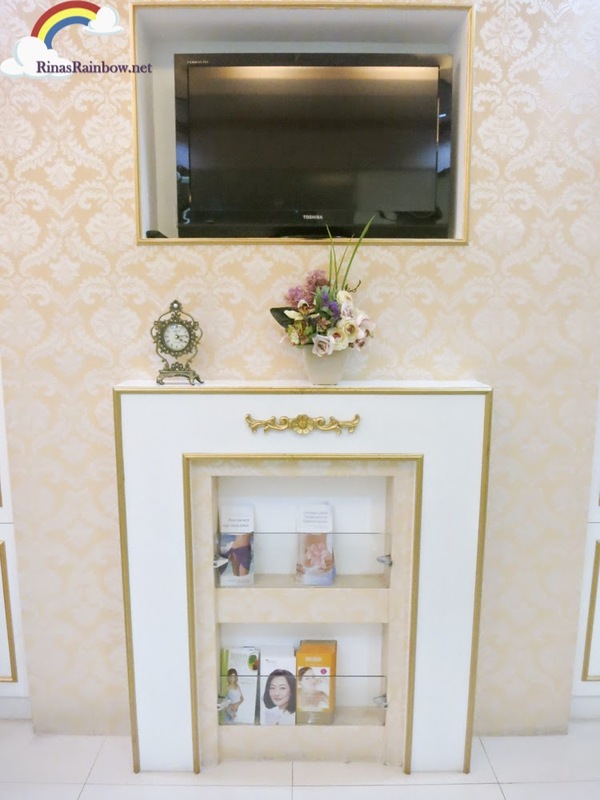 - a special facial treatment that deeply cleans the pores and removes those very bad bacteria that causes acne, cleans out excess oil and trapped dirt and helps minimize pores up to 2 weeks. So soothing! I wanted to nap at this point. This starts with a relaxing facial cleansing and a relaxing facial massage. A very light and thin gauze placed on my face leaving room for me to breathe. Then the sonophoresis begins. This is where ultrasound waves seep nutrients into the skin that removes blackheads and white heads as well. 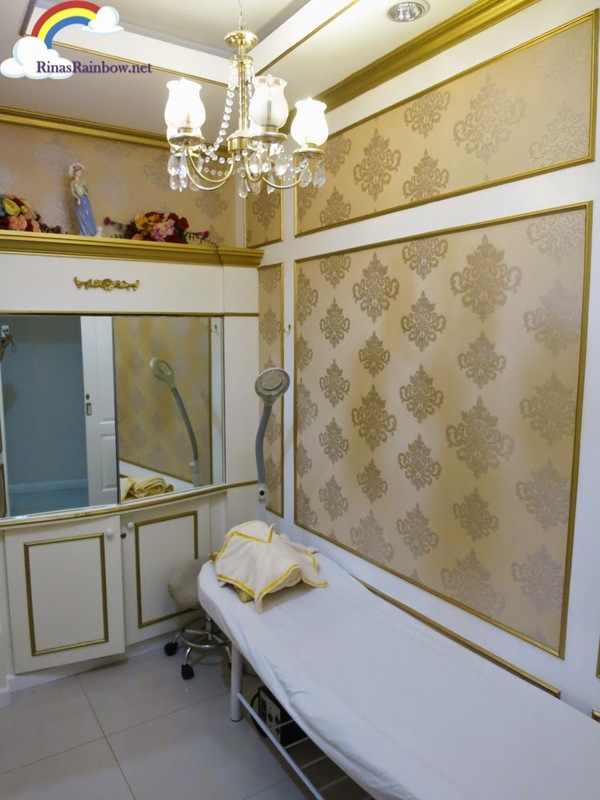 And then they use this special machine that lifts and revitalizes the skin. It's a weird sensation I have to admit because you'll feel tiny currents of electricity web out under your skin. 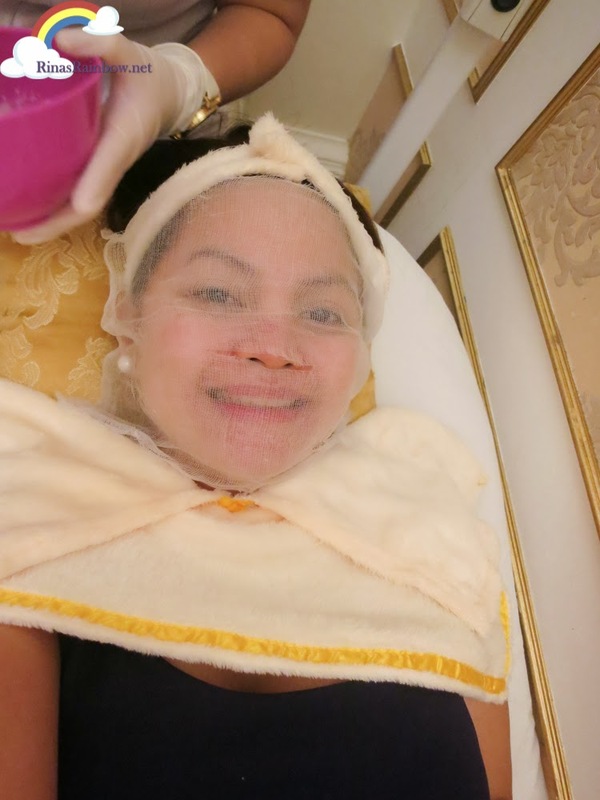 Anyway, after this, another machine is used that oxygenates the skin by releasing cool pressurized oxygen in the skin and hydrates the pores. It's like they're cleaning your skin and pores as clean as a whistle. -uses a film of carbon lotion that regenerates collagen and correct melasma, pigmentation, acne, skin tone, pore appearance, and fine wrinkles. 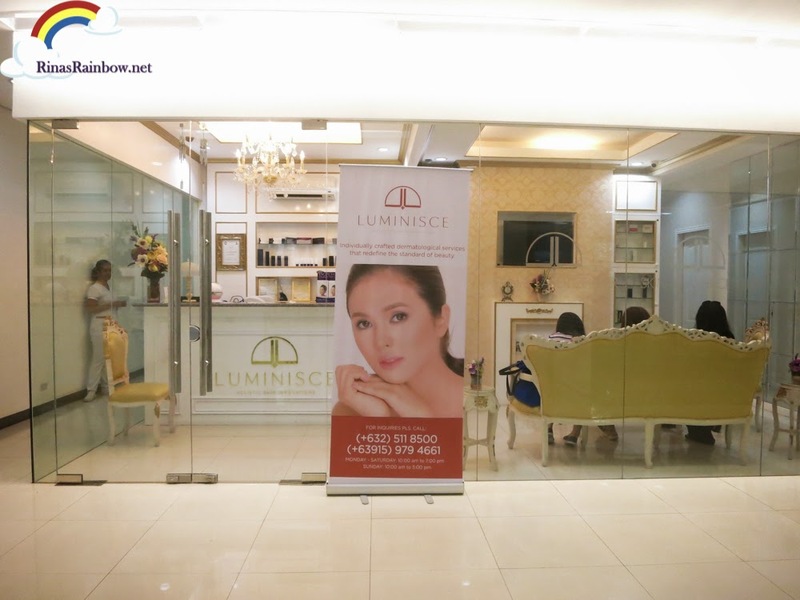 - I was pretty amazed by the Acne Clear Laser because if there's one thing I want to visually do with my stubborn pimples is to shoot them down with a laser gun. This isn't actually a laser gun but this Spectra XT toning laser normalizes the blood vessels surrounding the wound healing process which lessens inflammation and makes it heal faster. 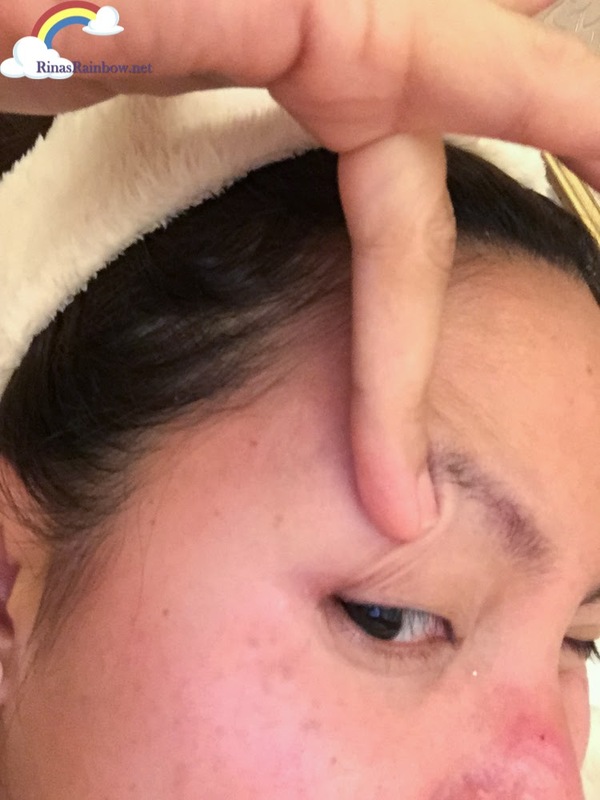 After a day or two I could really feel the inflamation of my then throbbing inflamed pimples significantly go down until it was totally healed. If I do this for a few more sessions, I could get smoother and even-toned skin. -This Coquille Peel helps even out skin tone. If you want to get that youthful glow back, this is the treatment to try. It helps shed rough skin and restores the skin's moisture levels. The amazing part is that it uses Alpha Hydroxy Acids (AHA's) which is derive from natural fruit and food extracts. Nothing but good stuff in it. This is actually exclusive to Luminisce. 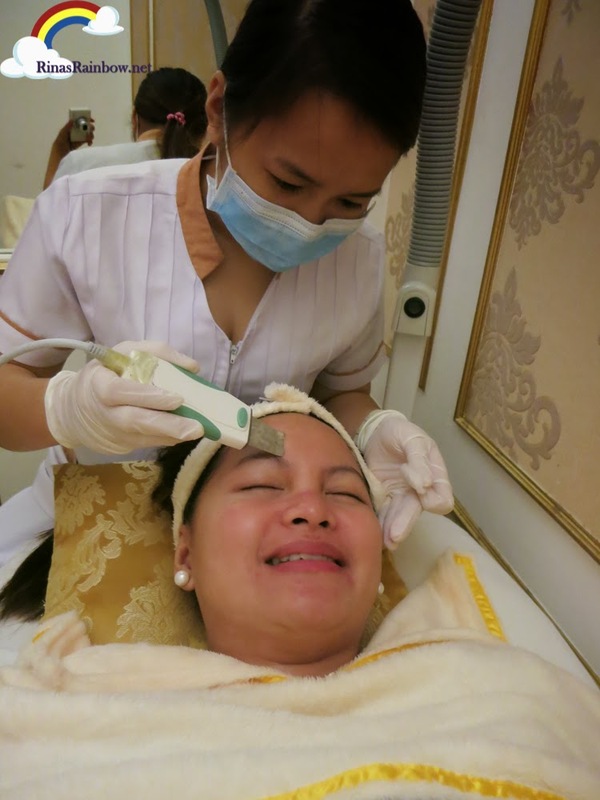 - For my melasma (apparently that's what my freckle-looking spots on my cheek bones are called, doc wanted to try treat it with the derm enhancer laser because it uses the Spectra XT RuvyTouch which is a precise laser that send out microbeams totally directed at problem areas. It's interesting because it causes tissue damage, and then when this happens, it initiates collagen production and cell renewal. And the amazing part is it is non-invasive. Going home, some parts of my face, specifically the now ex-pimples looked red but Doc Kaycee assured this was what was supposed to happen for at least a few days. Mine didn't last very long which is good. Doc also prescribed some antibiotics for me to help tone down my acne. I could really see the difference with my skin. I couldn't see or feel any new pimple building up. The two or three pimples that Doc treated were definitely gone. 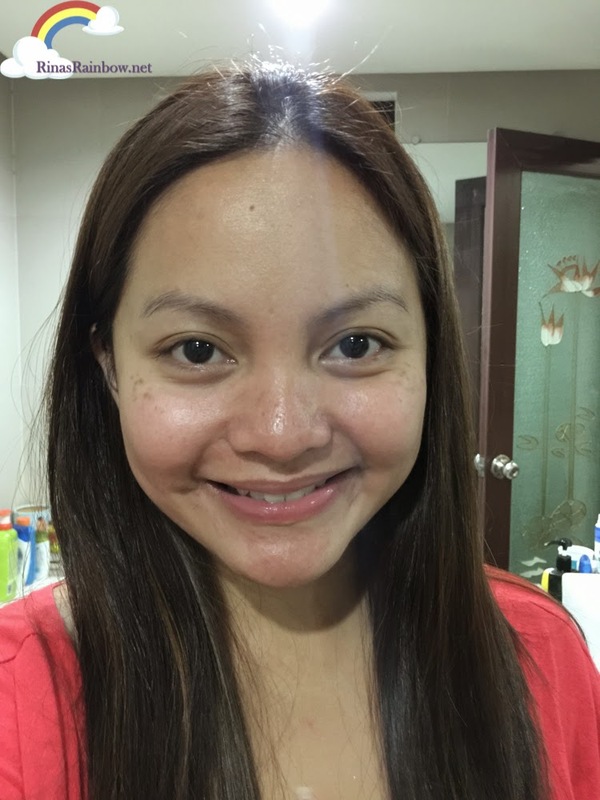 My melasma was still there but I was expecting this because Doc mentioned to me that my level of melasma was a bit harder to treat so I'm going to need to get a series of treatments for it. I know it's not yet celebrity level skin, but the important thing is that I didn't have pimples anymore. Just some marks that I'm hoping to lighten eventually. 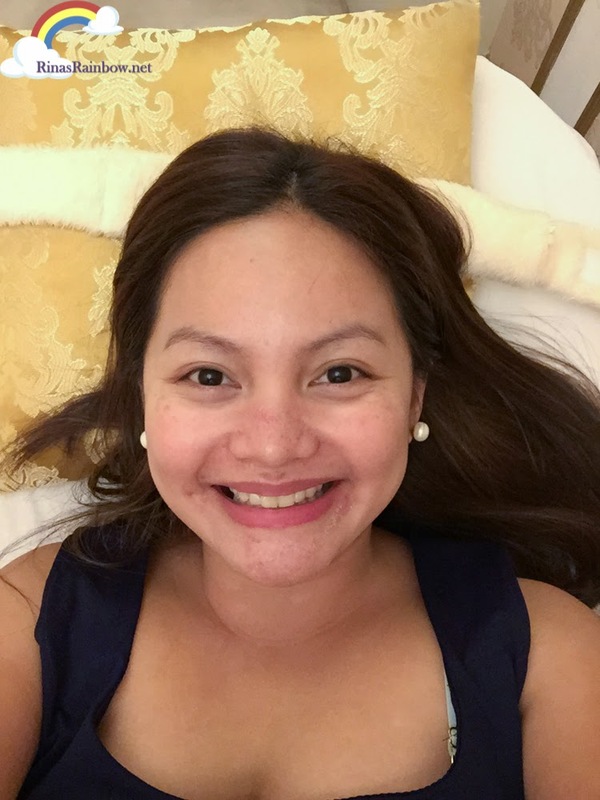 I believe that with regular check ups, clear smooth and bright skin will definitely be achievable even for people with pimply skin like mine :-) I'm definitely going back soon to continue my other treatments. it's vital to take care of a healthy skin care program to delay the signs of aging and fight the damaging effects of the external surroundings, for more information click here men face care. Hi Monique! Apologies for the late response. I just saw the comments now! My bad! :-o! As for the rates, it's really hard to say because it will all depend on the client's skin. That's why it's better to get a consultation first. Dr. Kaycee is always the one who does all the consulting so you're in good hands. Based on your skin, she will tell you what skin issues are best to focus on. She will tell you as well if you don't need those treatments :-) And then it will be up to you if you want to do them or not :-) She's very easy to talk to! Hi Katherine! Thanks for dropping by my blog! :-) As I mentioned with my response to Monique, it's really hard to say because it will all depend on the client's skin. That's why it's better to get a consultation first. Dr. Kaycee is always the one who does all the consulting so you're in good hands. Based on your skin, she will tell you what skin issues are best to focus on. She will tell you as well if you don't need those treatments :-) And then it will be up to you if you want to do them or not :-) She's very easy to talk to! Lol I agree with you. Nakakainis. Diretsahin mo na kasi. Humihingi nga ng price range e. 1k-5k? 5k-10k? Mahirap ba yun? Kaya ka nga blogger para sayo na magtatanong ng info e.
true! Ang dami pang sinasabi. Price range lang naman ang hinihingi hinde pa maibigay. The reason people are asking for the price range is because we want to at least know how much the cost we are willing to give. 10k-20k ba yan? At least we wanna be ready financially kahit sabihin pa nating iba iba depende sa skin condition. If we know how much you have spent, at least we will have an idea kung gano to kasakit sa bulsa. lol. para makapag prepare din kami. now all people are rich you know, but all of us wants to have a nice skin, we just want to be prepared for the gastos. A price range will be a big help. I am very ecstatic after reading this article right now. This is one of those click here articles that isn't spammy and does not lead you to a spammy site. I loved reading this article very much and you can bet that I will be suggesting everyone at my home and at my work to read this fantastic article. All in all, how much did the treatment cost? 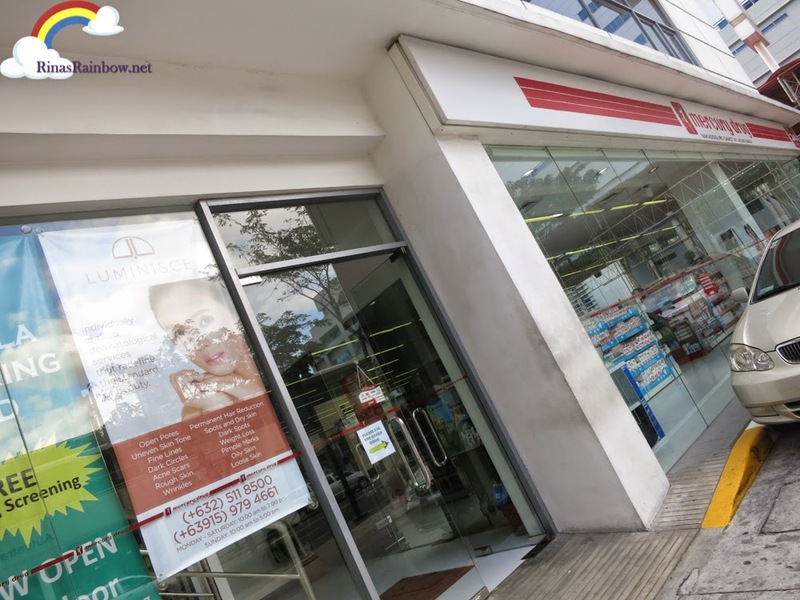 As we all know acne scar treatments is not a cheap procedure and do require quite your time and budget.